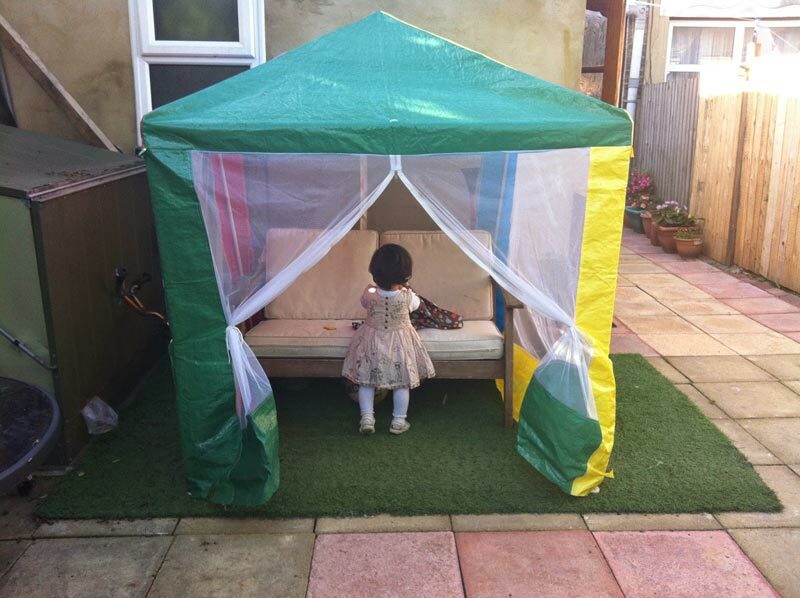 What can make your kids so happy as a kids gazebo right in your garden? Perhaps nothing! These outdoor items are colorful, lovely and extremely attractive! 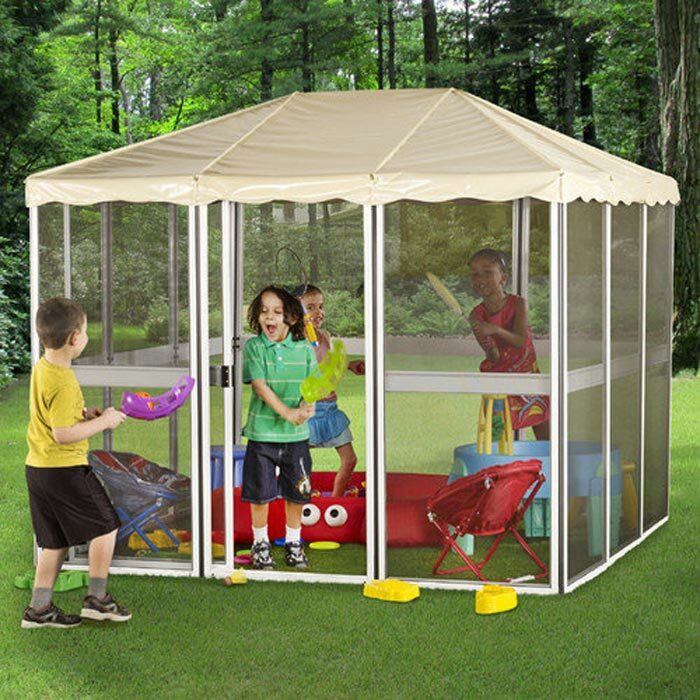 Kids are simply fond of spending their free time playing under their gazebos. Placing one in your backyard is a grandiose way of “saving” your kids from spending their all time playing computer games. Fresh air of outdoors as well as the gentle breeze and sun will fortify your kids making them not only healthier but also happier! 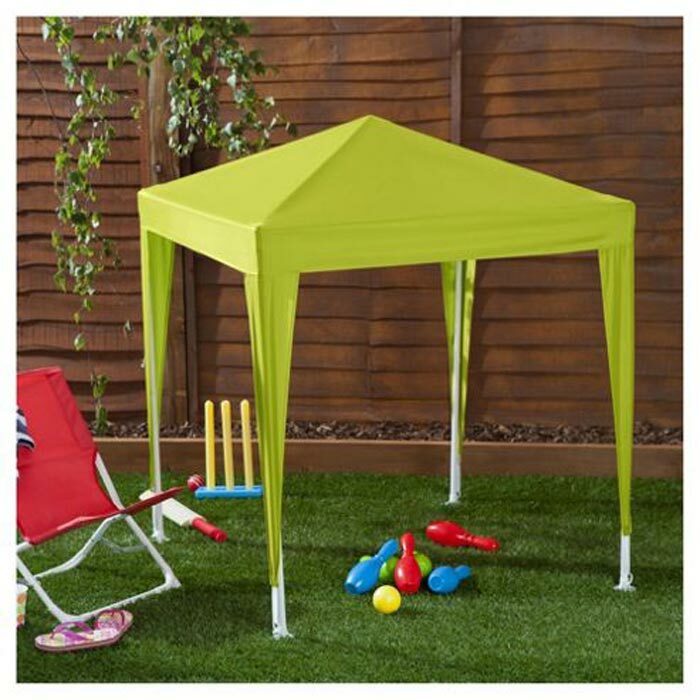 At Tesco you can purchase an amazing gazebo for kids with the dimensions H124 x W99 x D99 cm. The model is perfect for camping trips, picnics or simply having fun in the garden. Having a sturdy steel construction that features a powder-coated finish, the gazebo is beautified with a bright green polyester roof cover. Placing it in your outdoor environment, you will protect your kids from sizzling sun rays while they are playing in the fresh air. There are also plenty other marvelous gazebos that come in any bright color you could ever imagine! Some are multi-colored. For instance the Kids Gazebo with Netting Curtain offered at the Home Store And More is a lovely model with bright red, blue, green and yellow colors. Priced about $22, the gazebo comes with a mosquito net to make the outdoor rest of your children even more comfortable and pleasant. The gazebo has a sturdy steel frame with plastic elements and a polyester colorful roof. It is very lightweight and easy to move, hence your kids can deal with their product themselves!